A pregnant woman has been jailed for two months - for opening a can of Pringles. Kathleen McDonagh, 25, from Cork, pleaded guilty to causing criminal damage at a branch of Tesco near her home. The incident involving the tub of crisps, costing €1.50 (£1.32), took place on December 27, 2016. 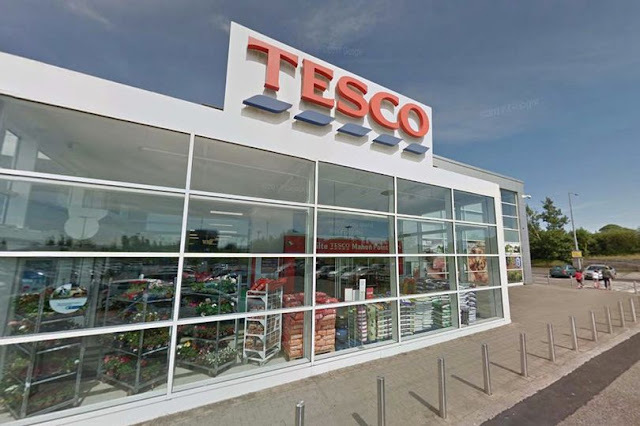 At a sitting of Cork District Court today, Inspector Ronan Kennelly told Judge Brian O'Shea McDonagh was barred from Tesco at the time of the offence arising out of previous behaviour. However, she went in to the supermarket and picked up a tube of Pringles. She then proceeded to queue up at the self service section. Inspector Kenneally said staff noticed Ms McDonagh and approached her to ask her to leave. Before they got to her she popped open the can. Inspector Kennelly, said that Ms Donagh who has 31 previous convictions, then removed the foil top off the can. “As the security officers approached her she opened the Pringles and removed the foil top and she said, ‘I opened it so you have to let me pay for it’ ….. it was not fit for resale with a loss of €1.50 – she said wanted to buy the Pringles but she had no permission to be in the store." The court heard that Ms McDonagh's previous offences include 14 convictions for theft and two for criminal damage. She has also convictions for handling stolen property. Shane Collins Daly, solicitor for Ms McDonagh, said the accused was a hairdressing student who is currently working for her mother. He appealed for leniency in the case saying that his client was five months pregnant and a newlywed. The court heard that she suffered from issues relating to anxiety in the past. Mr Collins Daly also asked that the guilty plea be taken in to account in the case. In sentencing Judge O'Shea said that taken out of context the offence could look on the lower end of the scale in terms of seriousness. However, given the background to the case and the multitude of previous convictions it moved up the scale of scale. He said it was difficult to view the offence as anything other than "smart Alec" behaviour. He said Ms McDonagh had been given the benefit of suspended sentences in the past and they didn't appear to work for her. He jailed her four months suspending the last two months of the sentence.